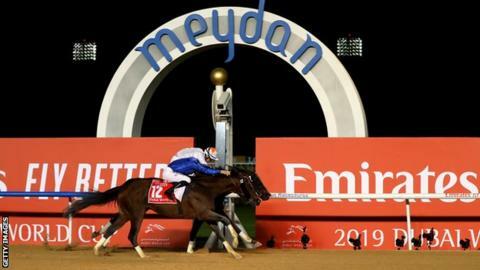 After a prolific 2018 in which the twin summits of the Epsom Derby and the Melbourne Cup were scaled by Godolphin, it might have been hard to keep up the momentum into the new year, but that does not seem to be the case at all. The Lincoln was just one cog in Sheikh Mohammed's Saturday winning wheel with all that success in Dubai too, plus a Group One race in Sydney. Despite the competitive nature of the race, Auxerre was backed as though defeat was out of the question and once the race was under way there was nothing to worry about. Better races now beckon.